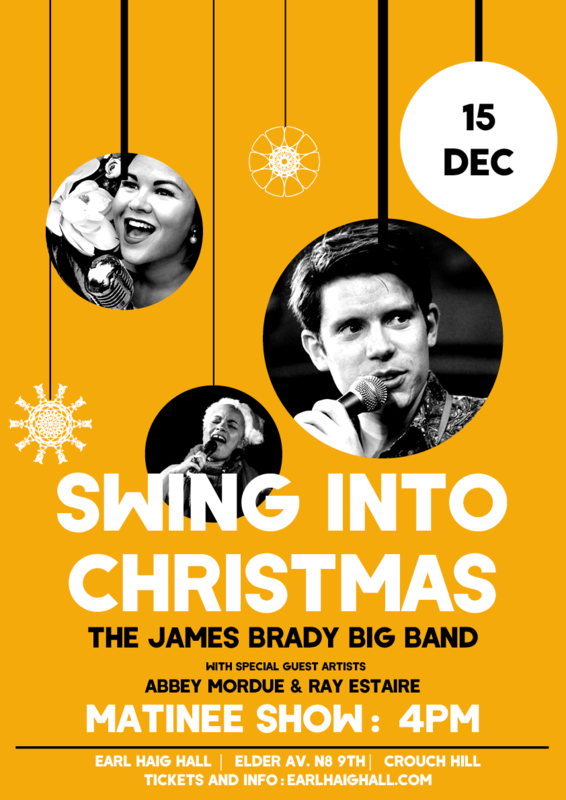 A fabulous family big band jazz extravaganza featuring all your festive favourites! An interactive, festive afternoon for all the family, featuring sing-a-long Christmas favourites including Santa-Claus is Coming to Town, Rudolph the Red-Nosed Reindeer and swinging renditions of your favourite carols. Join James, Ray, Abbey and the band as we swing and sing our way to laughter and good cheer with audience participation for young and old alike! Why not add some extra crackle to your evening by getting a group together and booking a table in the restaurant before or after the show? See www.earlhaighall.com for menus and reservations.